BOUNCE is a package of 3 training and awareness-raising tools as preventive measures when or before concerns about violent radicalisation arise. They provide youngsters and their environment instruments to manage the challenges they come across. BOUNCE is a package of three training and awareness-raising tools for youngsters and their social environment. The tools were developed by the Belgian Federal Public Service Home Affairs and Arktos vzw, with support of the European Commission. BOUNCE young is a resilience training program for youngsters. A healthy and strong resilience is a proven protective factor in the prevention of violent radicalisation. In ten (inter)active group trainings, youngsters train and strengthen different aspects of their resilience. Through a mix of action and reflection, a wide range of skills and competences are strengthened, practiced and linked to their personal experiences. Youngsters learn to bounce back and bounce up when dealing with challenges. In the trainings, youngsters make the link between the work forms and their personal experiences. A BOUNCE young training is always used in combination with BOUNCE along awareness-raising actions for parents and frontline workers. BOUNCE along is an awareness-raising tool for parents and frontline workers. The tool provides tips, insights and practical exercises for adults in the social environment of youngsters. It assists them and strengthens their role in the early prevention of violent radicalisation. BOUNCE along treats five topics: ‘a positive point of view’, ‘strengthening resilience’, ‘resilient relations and communication’, ‘concerns and challenging situations’, and ’information and influence’. 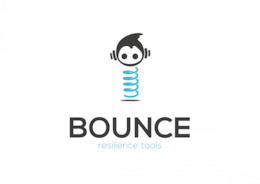 BOUNCE along focuses on all parents and frontline workers, and can be used in combination with the BOUNCE young resilience training for youngsters. BOUNCE up is a train-the-trainer tool for frontline workers. This tool instructs them in working with the BOUNCE young resilience training program and the BOUNCE along awareness-raising tool. By combining both tools, trainers can become an important supporting figure in the early and positive prevention of violent radicalisation. Trainers assist youngsters as well as their social environment and set up an integrated and integral approach, tailored to the needs of the target groups.